Happy Wednesday, Maharanis! 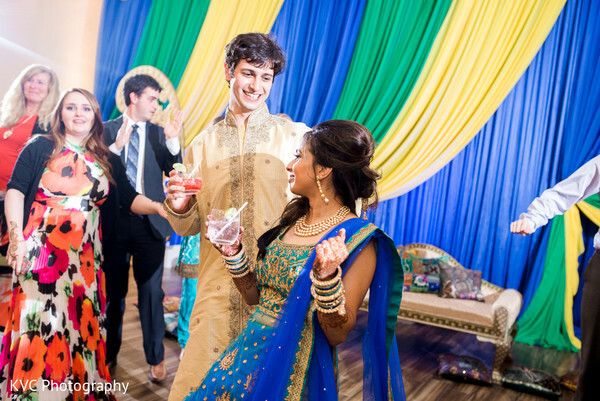 Today we've got a beautiful Indian fusion wedding, planned by the talented folks at Envi Event Planning! We're starting with the sensational sangeet at The Opal Event Hall! 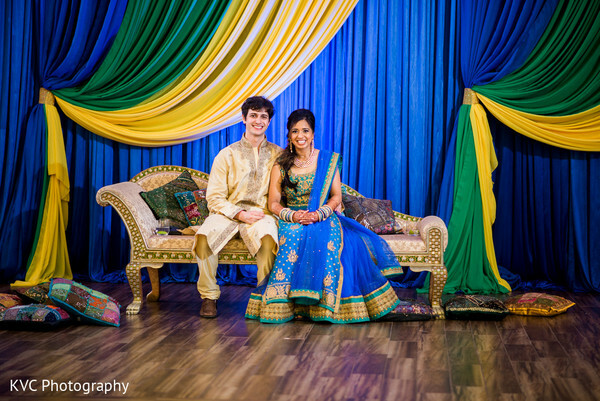 Weddings InStyle added the festive decor for this celebration, featuring vibrant curtains and lovely patterned cushions! 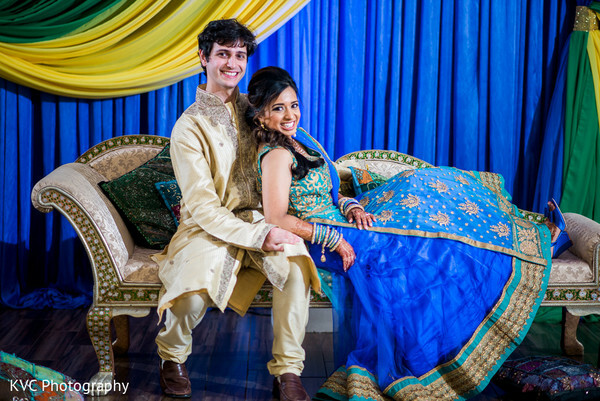 For the event, our Indian bride Aleena wore a stunning lengha in various shades of blue, which fabulously matched her mehndi by Beauty You Deserve! Hair and makeup from Gunn Glamour Hair, Makeup, & Bridal took her spectacular look to the next level! 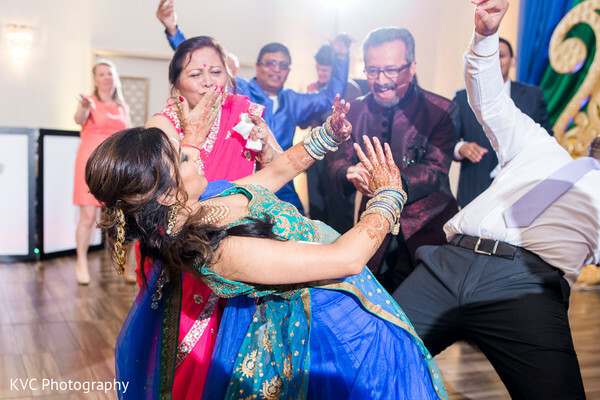 See all the sangeet wonder for yourself in KVC Photography's fantastic photos below, and head to the full gallery to see pics from the other pre-wedding celebrations! "Almost immediately after Geoff and I got engaged, we decided that our wedding would be at Sugarloaf Country Club, which was special to me because that is where I grew up. The Club itself has a wall of windows looking over the 18th hole and the lake. One of my highest priorities in planning the wedding was having a beautiful view, and this view was so special to the both of us. I also absolutely love the staff there, and they literally treated us like royalty during the planning. 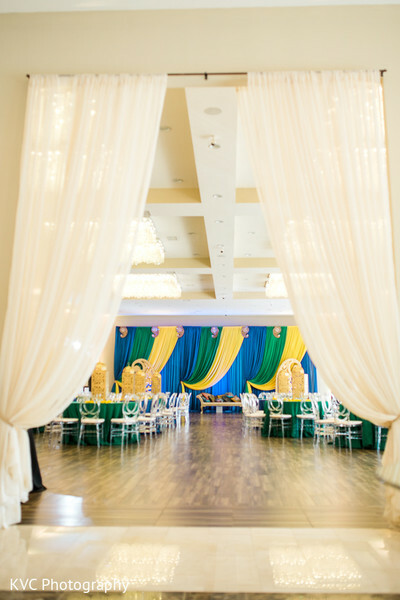 I had envisioned florals and draped walls for a soft, elegant look, and with the layout of the Club, we were able to realize that. 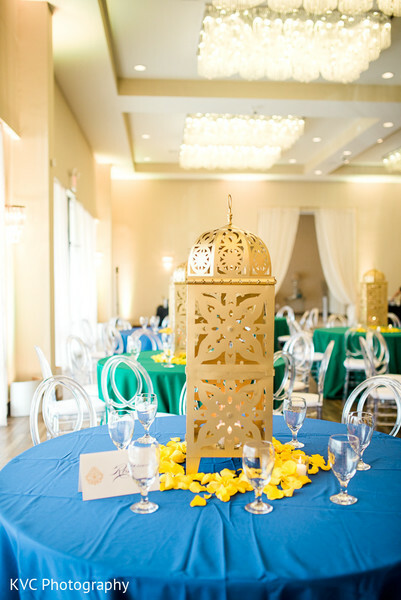 Between the Club staff and my decorator, we were able to create floral chandeliers that really brought the entire look together. 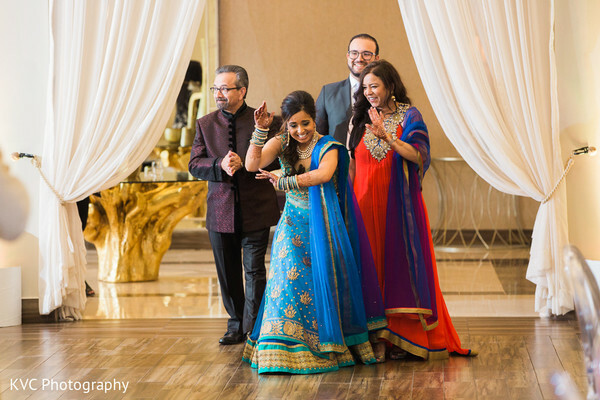 I would say that my wedding style really centered on the floral arrangements and the Club as a venue." 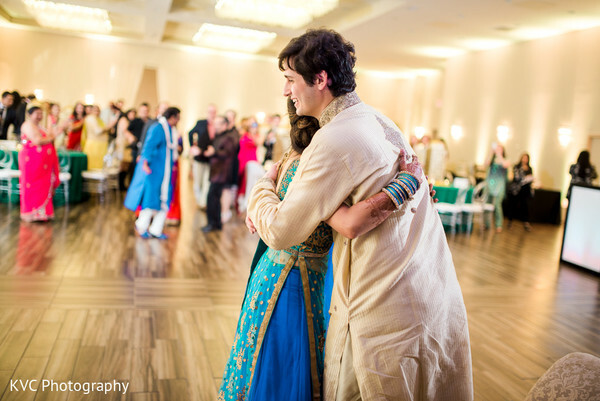 Come check out our Maharani's shaadi day fashion, next!